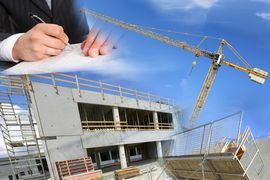 Qualified and Licensed Building Consultants for all Property and Building Inspections. A SafeHome building and property inspection will provide you and your family peace of mind knowing that professional and qualified inspectors are taking care of the safety of your family and your largest investment for them to enjoy for many years to come. A SafeHome building inspection report provides a breakdown analysis of the condition of your property in key areas such as the Interior, Exterior, Roof Loft, Roof Exterior, Sub-Floor and the Site. Additionally, an overall condition assessment is provided with photographs detailing any minor defects, major defects and safety items requiring attention so that you are able to make a qualified and informed decision on your new purchase. Most of our inspections can be are arranged within 24 hours of being booked, and the report will be supplied the next working day. If you prefer your consultant will contact you for immediate consultation upon completion of the inspection. 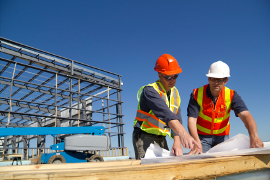 All building inspections are completed by experienced, trained and licensed inspectors in accordance with the Australian Standard AS 4349.1 – 2007, Inspection of Buildings. The principle consultant/director is a qualified engineer, member of the Australian Affiliation of Property Inspectors and accredited with Housesafe Inspection Training. The purchase of your home or investment property is a large financial investment therefore it is imperative that you are fully aware of any issues, defects or safety items that may be evident or sometimes hidden. At SafeHome Property Inspections will answer all your questions about the condition of the property before you make your final decision. It’s critical to remember that even though a home may look faultless there may be defects that will certainly affect you with more expenses after your purchase. We will highlight any problems in our a pre purchase building inspection report. SafeHome staff are fully trained, qualified and experienced consultants who have in excess of 20 years’ experience in the building industry. We are also a member of the Australian Affiliation of Property Inspectors. Our consultants are able to speak with you at any time during the process to explain critical issues and will also meet you on site if preferred. All of our inspection reports are under license from the National Housesafe Inspection Training & Education Academy to ensure compliance to Australian Standard AS 4349.1 – 2007, Inspection of Buildings. – Remaining in contact with all levels of Government and Statutory Authorities to promote excellence, integrity and quality in our property inspection services. Call us direct or obtain an Online Quote for immediate service.